So I have been wanting to go to Summer CHA for about 3 years now! 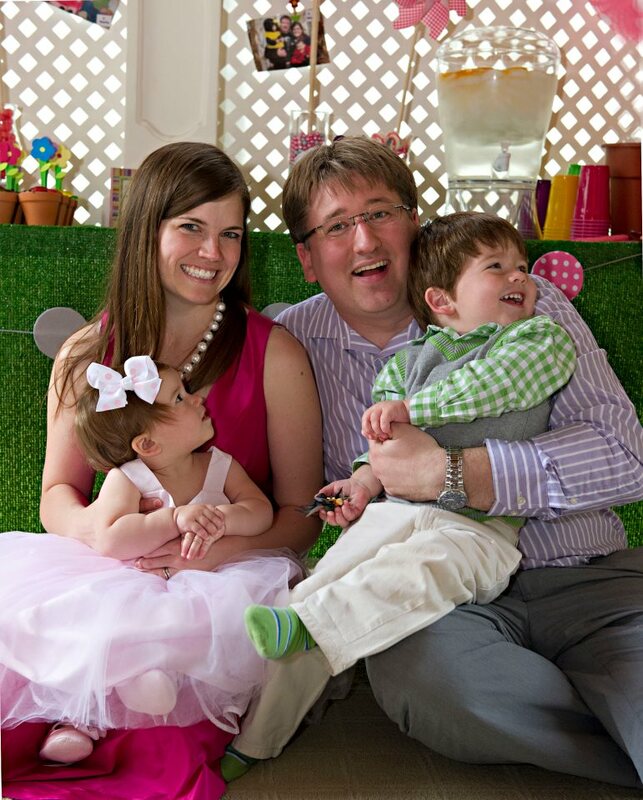 My children were too small to leave, until this summer! So I got to finally go!! 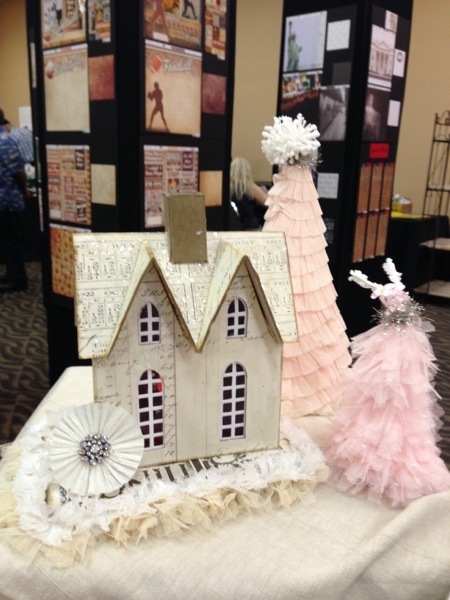 I posted earlier about just a fraction of the talented designers and crafty friends I met. 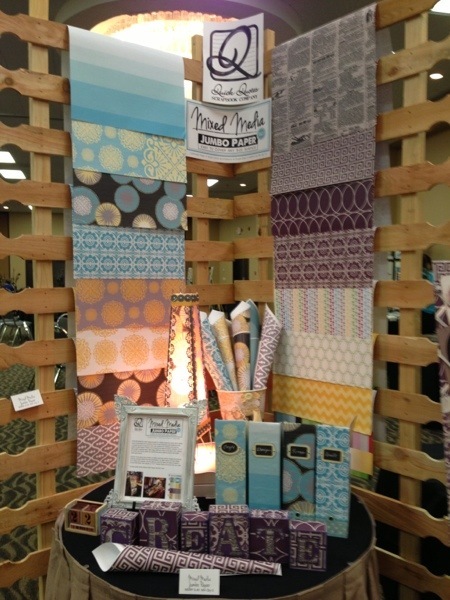 This post is about all the products and inspiration I gathered while at the trade show. 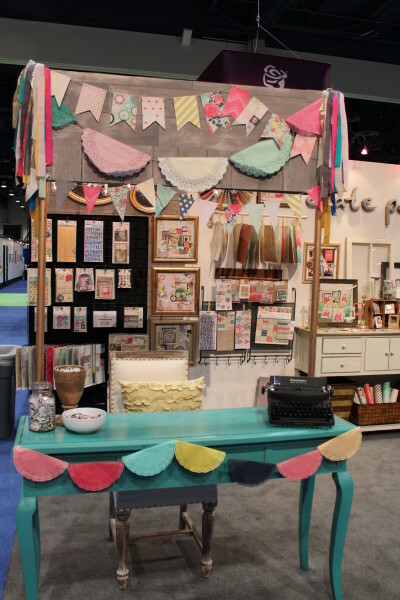 Here is Maggie Holmes booth for Crate Paper. I loved this booth so much! Here is a picture of me and Maggie. Pretty much obsessed with all of Melissa Frances’ products. They are vintage and so girly! 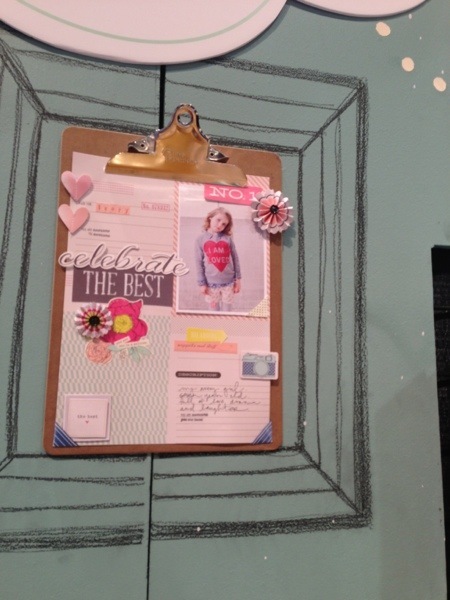 Quick Quotes had these Jumbo Mixed Media Papers that I fell in love with at first sight!! Look at them! You could do so much with them!!! 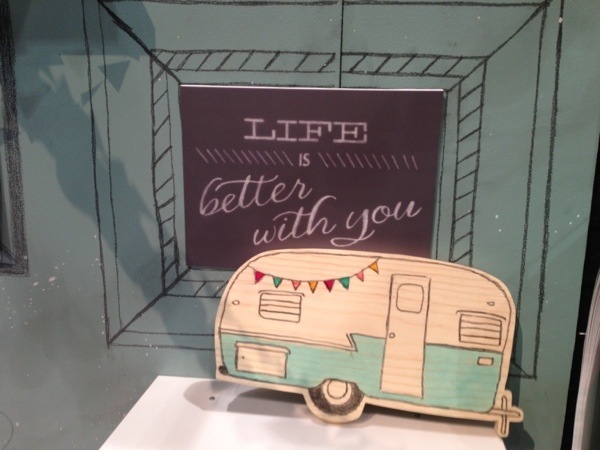 This whole set up at Dear Lizzy’s booth was the best. I had to take a picture to remember it! 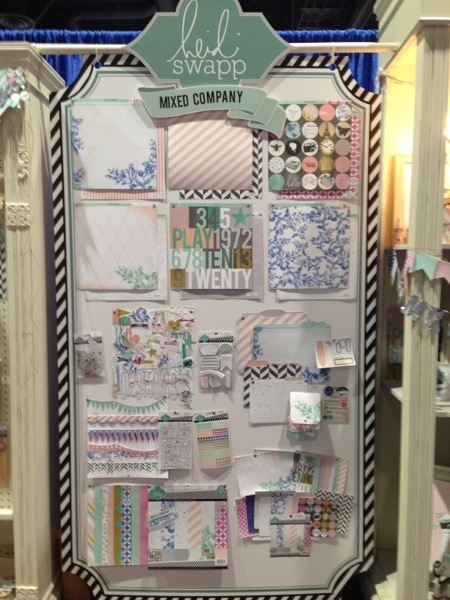 Below is Heidi’s new line Mixed Company. She has new bottles of Colorshine too! Yay!! Loved her whole line!! 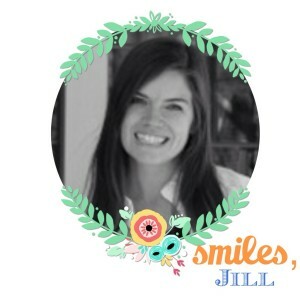 Also you may notice a beautiful album Heidi made. She shared this with us after we made our make and takes. Man, she’s so talented!! I love how Basic Grey displayed all these flowers. They show off all their new papers beautifully don’t you think? Cosmo Cricket gets the most innovative award in my mind. I was obsessed with these mason jar toppers. How cute are they? Seriously! They have two kinds of toppers. 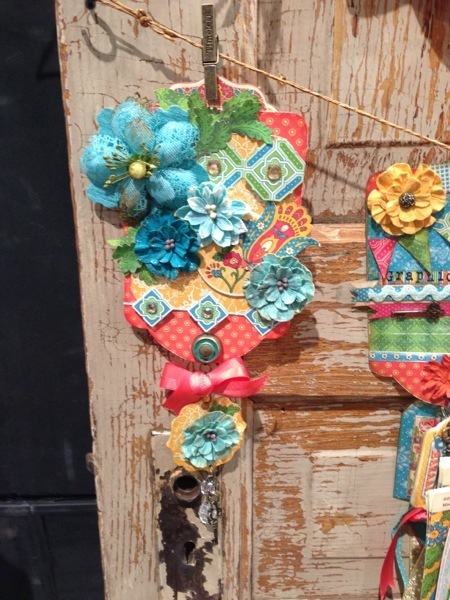 One that can hold a note or picture and one that is a knob….but the kicker is that they have a hook on the inside of the lid so that you can dangle items down…like their cute little wooden pieces! You guys are seriously going to LOVE these!! 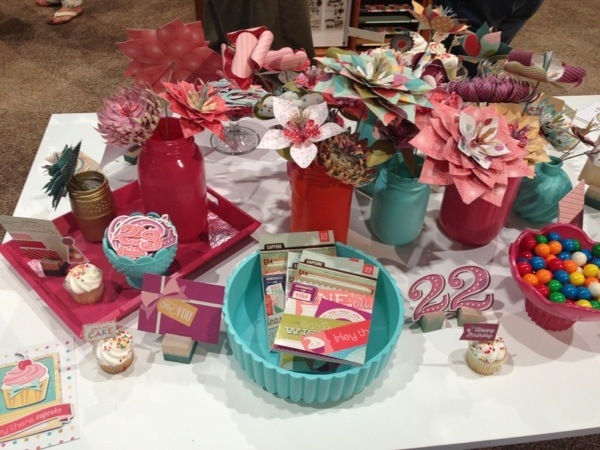 I adore the look of letterpress and Lifestyle Crafts is the best out there. I was thoroughly impressed with their system and the quality!! 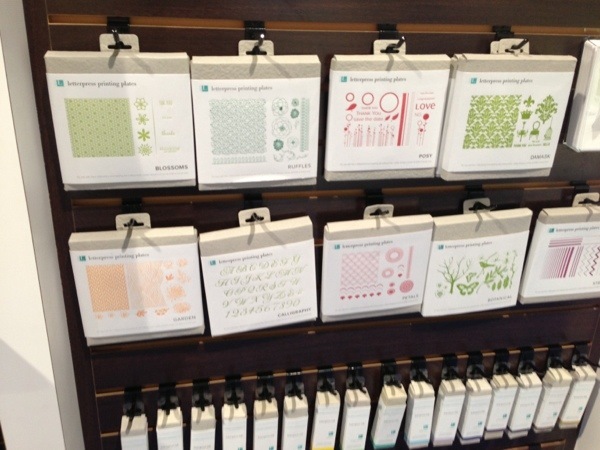 They also have some new washi tape paper. It is awesome to die cut! I LOVED IT!! Whoa…they really went all out over at Graphic 45! Wow! 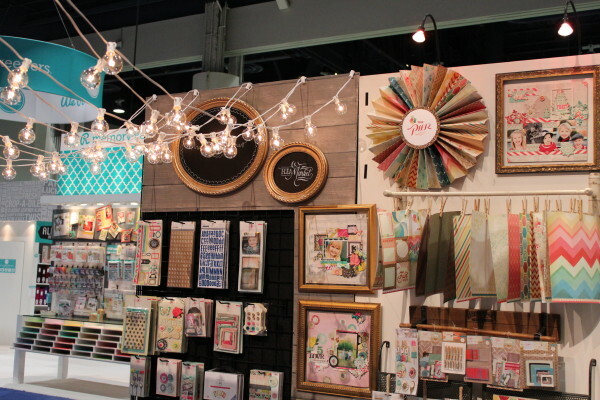 I have one measly picture here but they basically used their new Bohemian paper line and Nursery line..ok all their new lines.. to cover anything and everything….such as a mailbox or a dollhouse because why not… they can! It looked ADORABLE too, let me tell you!! 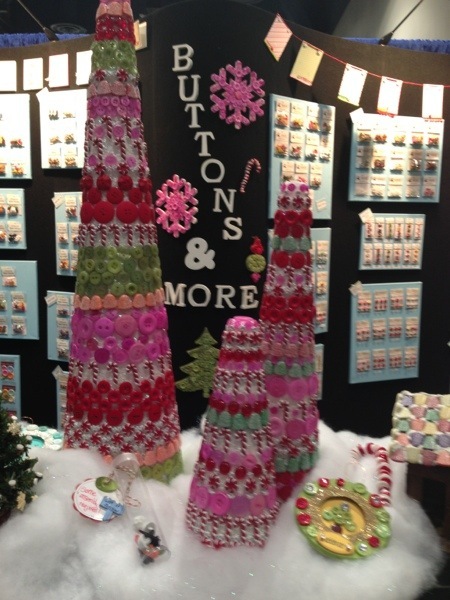 My friend Holly from Ribbons and Glue designs for Buttons Galore and More, so I had to stop and see them. Look at the cute candy cane buttons and then they even made some candy canes with red and white buttons! Super cute!! 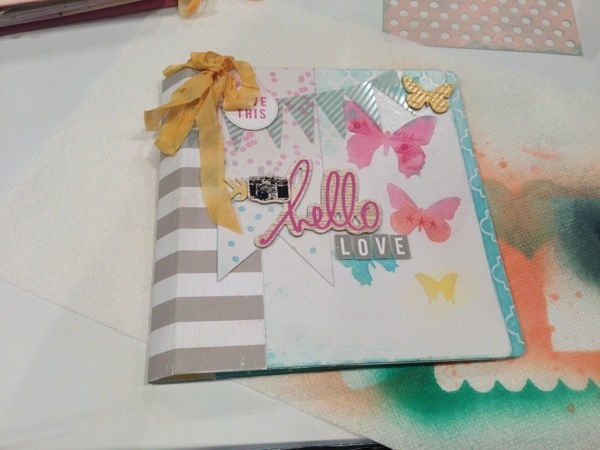 Stampendous sent me some CUTE stamps and I used them on a tag I made with a Get well Gift I made for a sweet neighbor. They have the cute little mice designs but they also have many other stamps as well. I had to stop and see their booth too. 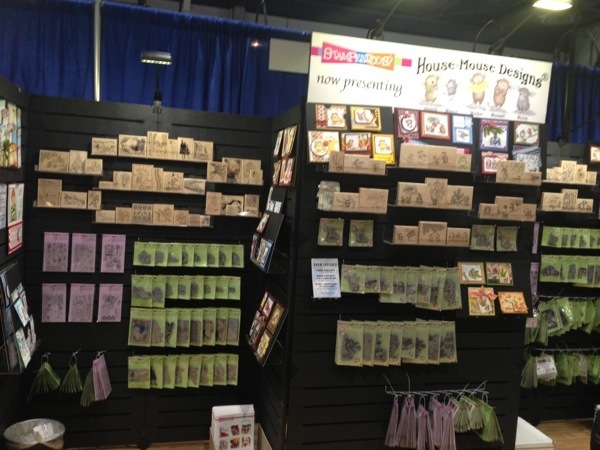 Doodlebug’s booth was quite a great surprise to me. I had a lovely time chatting with John, one of the employees, in the booth about randomness….he was telling me how one of his co-workers has 21 brothers and sisters…get this…all from the same parents! OH my! I was shocked! 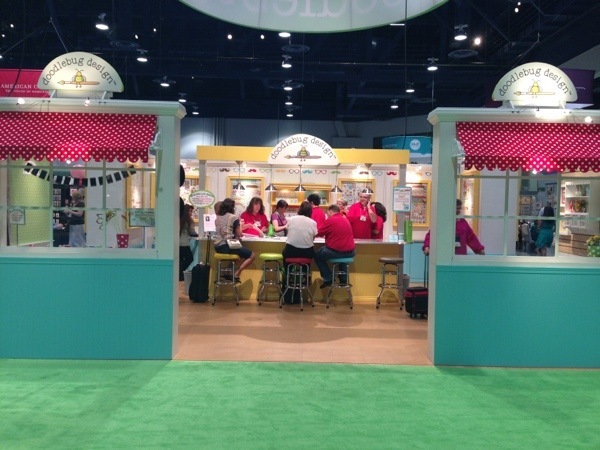 I loved talking to John, but I also loved their booth..so bright and cheery!! Another fun surprise was meeting Christina from MD. I was so excited when I saw this product because… I go into Home Depot and stores like those for the oddest items…every time they see me coming, they’re like , “Oh no what crazy thing is she going to be asking us to help her with this time!” ha! lol!! So, when I saw these metal sheets I was SUPER excited!! 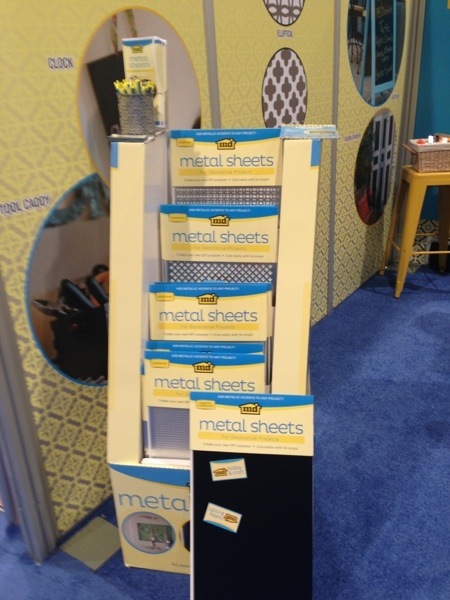 These metal sheets are their craft size!! You can pop these cuties right into a frame! 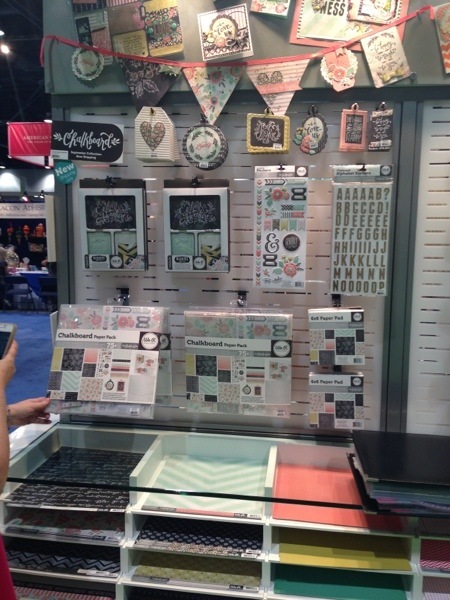 They have chalkboard ones and metal sheet ones! So fun!! 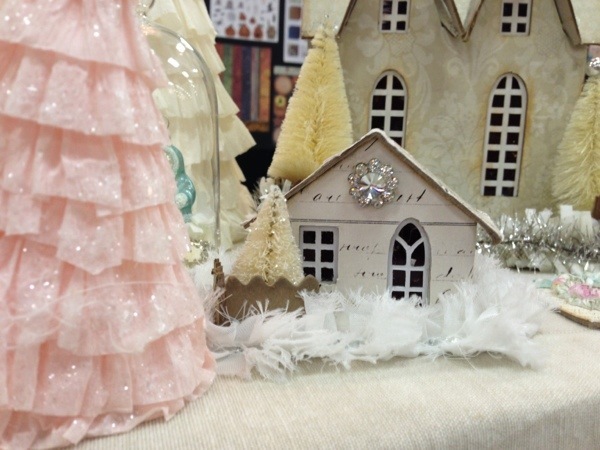 They had a fabulous booth! 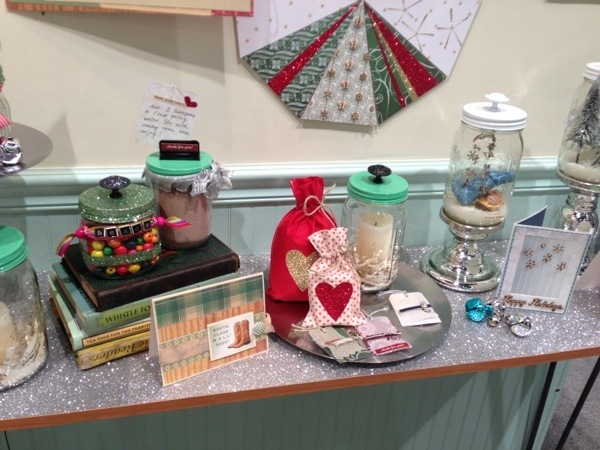 So many inspirational items! One line in particular that I loved was their chalkboard line. This is a fraction of my photos!! Seriously it was incredible! I cannot believe that Summer CHA is only a fraction of Winter CHA…from what I hear at least! Have you ever been to Summer CHA or winter CHA before? Have a SUPER fun day!! This entry was posted in I'm Loving, Uncategorized.